For once I am on the bandwagon at the right time - yay! - and have actually read The Great Gatsby however I have not yet seen the film - I would love to hear everyone's opinions of the film! So, I found this book rather confusing. I usually stick to what I know book-wise and what I know is old books. I can read classic books like Jane Eyre and Wuthering Heights yet I find modern books a bit more tricky. In a nutshell I am not usually a big fan of modernist books - books you have to work at to find the meaning - and I know this because I had to study Wide Sargasso Sea for half a year and it was not an entirely pleasant experience. But I found this book rather intriguing. I love how each line sounds like it should be in a poem, it is very beautifully written, and I can imagine F. Scott Fitzgerald scrutinizing over every word he placed in the sentence as he knew the words he chose could alter the meaning of the entire sentence. Similarly, if you were to take one line - any line! - you can analyse it to death and come up with something great every time as the writer is very clever and hides a lot of meaning beneath the surface and when you start to stratch at the surface you uncover a whole host of ideas and meanings. I also liked how the sentence would start on one point and then tangent off and by the end it would be a totally different point - amazing but confusing. Basically, this book is set in the 'Jazz Age' or the 1920s in America and tells the tale of a self-made billionaire - not entirely by honest means - named Gatsby who sets out to win over the girl he loves. 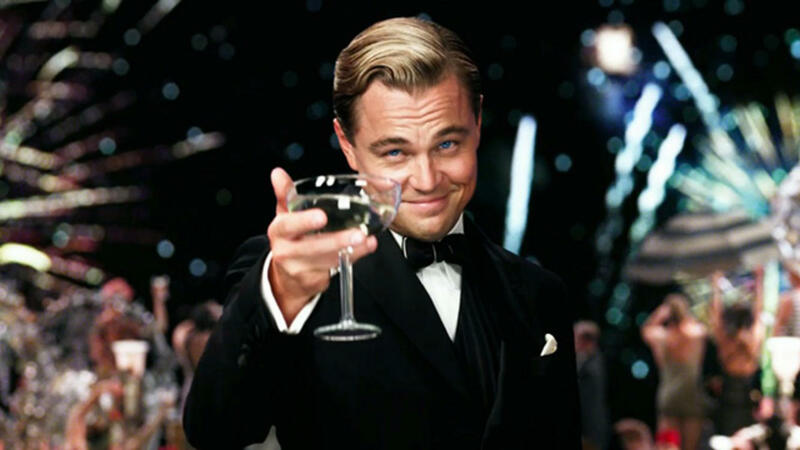 After a lot of devotion, passion, trouble, pain, anger, regret and parties the book concludes with righteous anger from the narrator on behalf of Gatsby and a grim assessment of the whole grim business. The book discusses many matters and not least greed which is represented by Gatsby but, despite this, he is probably the most lovable character of the entire book. 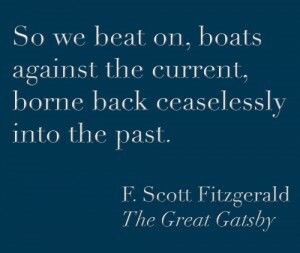 Gatsby holds an unusual tendency to always be optimistic even to the extent of what people may call delusion no matter how bad the situation may look. Having created his own image of the person he wanted to be he cannot move forward as he is tied to the past as this is a character created by his former self thus being his tragic flaw. Overall this book is a really great read and if you have some time I would advise reading it more than once in order to look deeper into the meanings and understand what the writer is trying to say. So, that concludes my first ever book review - hope you enjoyed it! If you have read this I would love to hear what you thought of the book and whether you want to see more reviews from me. Also, I am very open to books you would like to see reviewed in the future and which books you think are good for me to read.